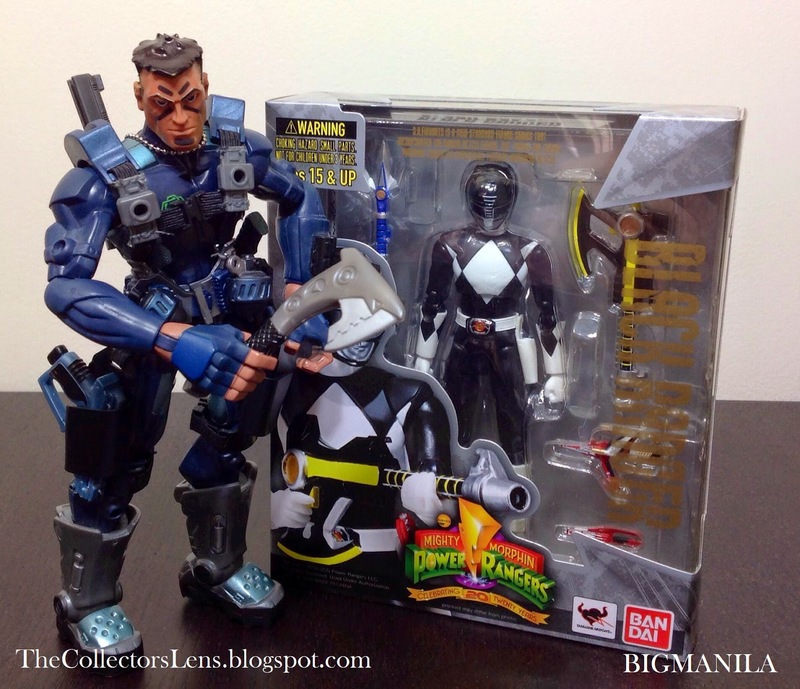 The original Black Ranger from Mighty Mophin Power Rangers joins the S.H.Figuarts line-up with a full array of accessories and special bonus parts! 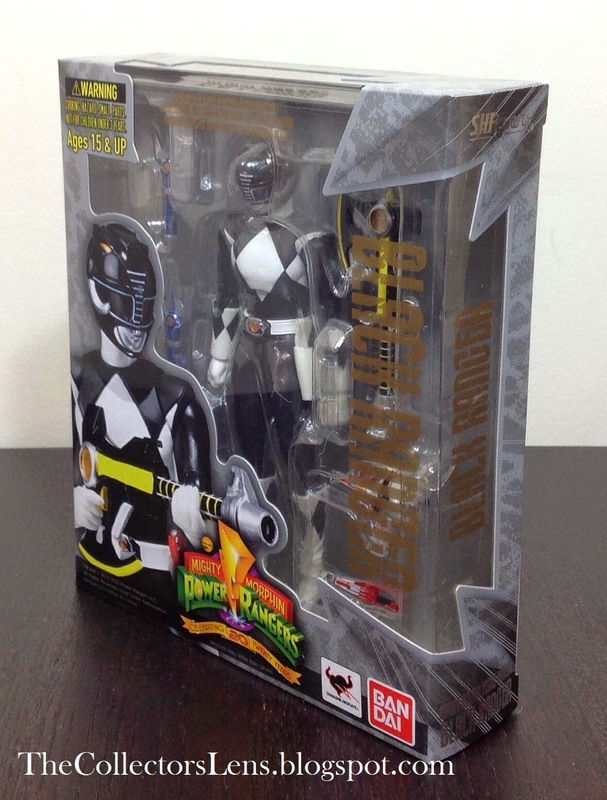 Following the release of the Red and Pink rangers, the S.H.Figuarts Mighty Morphin Black Ranger will usher in the release of the Yellow and Blue Rangers, with a special part for construction of the legendary Power Blaster. The upcoming S.H.Figuarts Yellow and Blue Ranger releases will then feature the additional parts needed to complete this ultimate weapon! 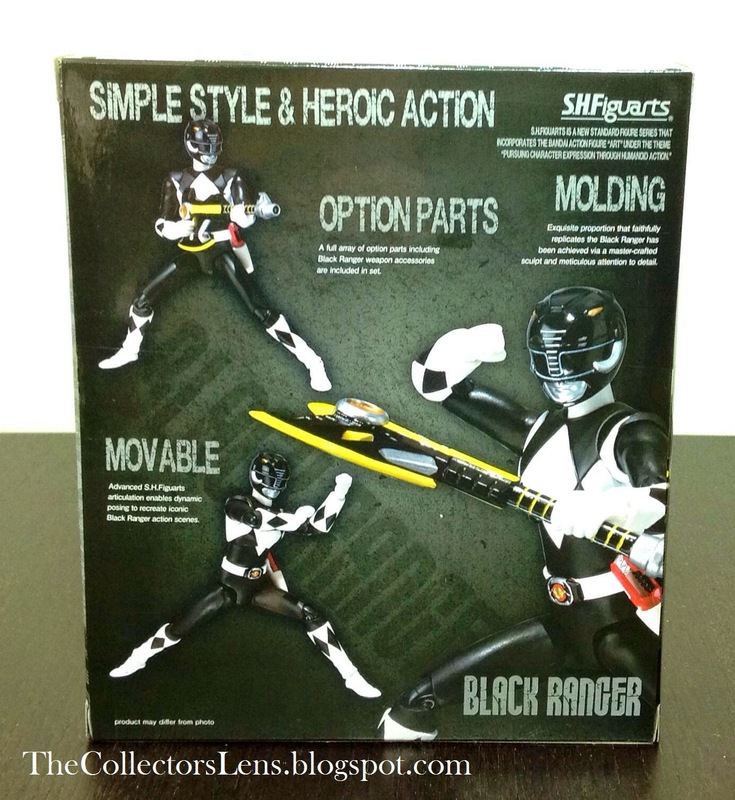 S.H.Figuarts Mighty Morphin Black Ranger also features additional accessories for the Power Axe, Thunder Slinger, and Blade Blaster; as well as interchangeable hand parts (4 right, 3 left). 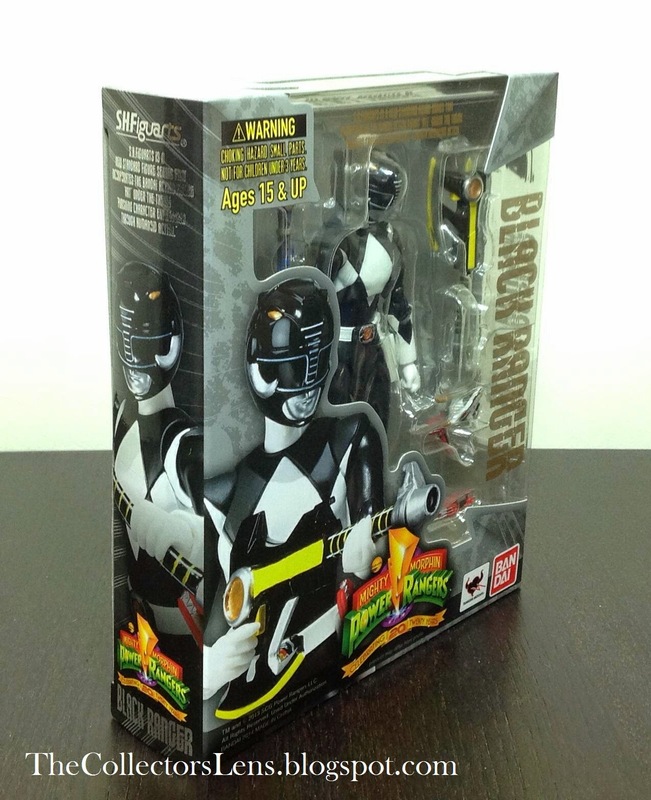 Whether it's Zach, Adam, or Goushi, this is the Black Ranger you've been waiting for. Item Size: Approximately 5-6 inches tall. Parts to combine with other S.H. 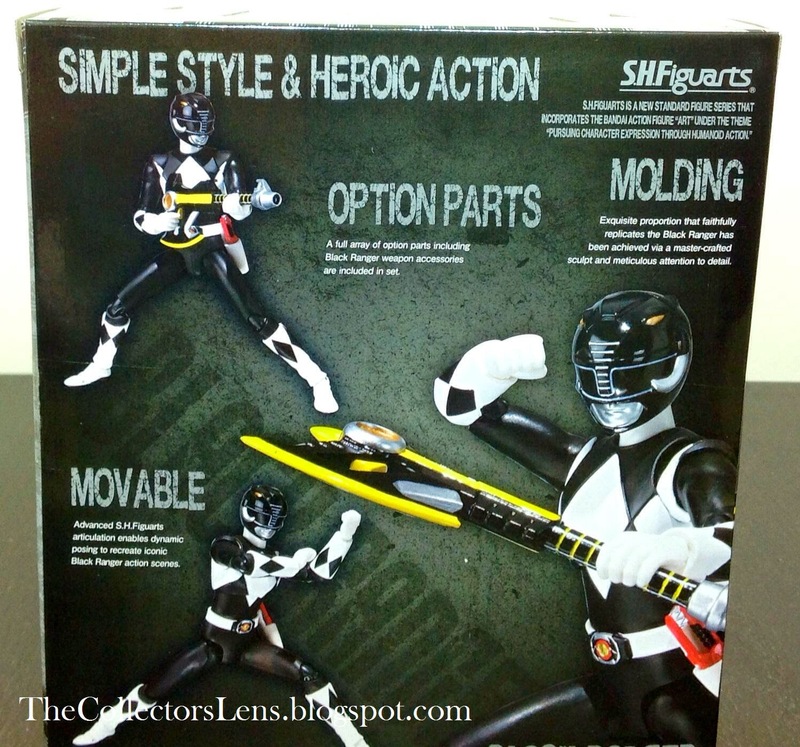 Figuarts Power Ranger releases to create Power Blaster just like in the show! Zack Taylor was a student who attended Angel Grove High School. A very enthusiastic, upbeat person, he was very close with his friends Jason Lee Scott, Billy Cranston, Trini Kwan, and Kimberly Ann Hart. Zack is a prankster and particularly enjoys holidays such as Halloween, to scare his friends; in contrast he was greatly afraid of bugs and snakes, a fear he partially conquered when he fought the monster Spidertron. He enjoys dancing at every chance he gets, and even developed his own fighting style, Hip Hop Kido, which he occasionally taught. When Rita Repulsa had been released and her intention was to take over Earth, Zack and his friends where chosen by Zordon to defend Earth as the Power Rangers. Although initially dismissive of being chosen, Zack soon discovers that he is right for the job. Zack became the Black Mighty Morphin Power Ranger, and was inpoered with the Mastodon Power Coin and the Mastodon Dinozord. A Mighty Morphin Power Rangers fan may have noticed that Zack is actually missing a finger. 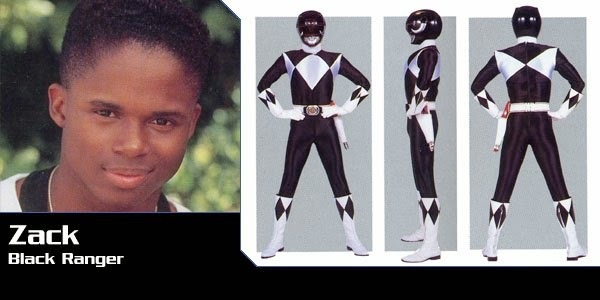 Although it would be an awesome story if he lost it in a battle with one of Rita or Lord Zedd’s creatures, actor Walter Emanuel Jones actually lost it in an undisclosed accident when he was four years old. Later on, a peace conference was soon held to be attended in Switzerland, and only three teenagers were selected to go. Zack, along with Jason and Trini were selected. With his zest for living, upbeat attitude, and charm, Zack was a natural choice at the peace conference. Three of their friends, Adam Park, Rocky DeSantos, and Aisha Campbell would replace them as Rangers. Zack's last Ranger mission was to find the Sword of Light, which he would use to transfer the Rangers' powers. Adam became Zack's successor as the new Black Ranger. His current whereabouts are unknown but it is possible that he may have returned to his normal life.